The Polytechnic Ministry of Health of East Kalimantan Timur, Indonesia and Emilio Aguinaldo College signed a Memorandum of Agreement on a Faculty and Student Exchange Program that will allow some faculty and students of the Polytechnic Ministry of Health to exchange resources and ideas, to observe new and improved educational practices in EAC classrooms. They will also conduct cultural exchanges and create concrete records of experience and information gathered through scientific fields here in EAC. The participants of this program will observe classes in Nursing, Midwifery and Medical Technology. The program was facilitated through Budi Luhur International Network for Education(Bin for Edu) and was initiated through the unflagging effort of Ms. Maria Theresa T. Soriano, the dean of the School of Nursing. It is the hope of both parties that this partnership will delineate how the participants’ theoretical and practical knowledge can be enhanced. 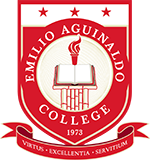 Emilio Aguinaldo College with the School of Nursing, Midwifery and Medical Technology will do their best to assist the participants in learning new strategies and techniques that work well in practice. Dr. Jose Paulo E. Campos, President of Emilio Aguinaldo College and Dr. H. Lamri, M. Kes, Director of Polytechnic Ministry of Health East Kalimantan made and signed the Memorandum of Agreement last November 27, 2018, also present in this significant event were Dr. Ellen Salac , the Vice President of Academic Affairs, Dr. Lorenzo C. Lorenzo, Vice President for Administration and Director of the Human Resource Department as well as other notable figures from the School of Nursing, Midwifery and Medical Technology.